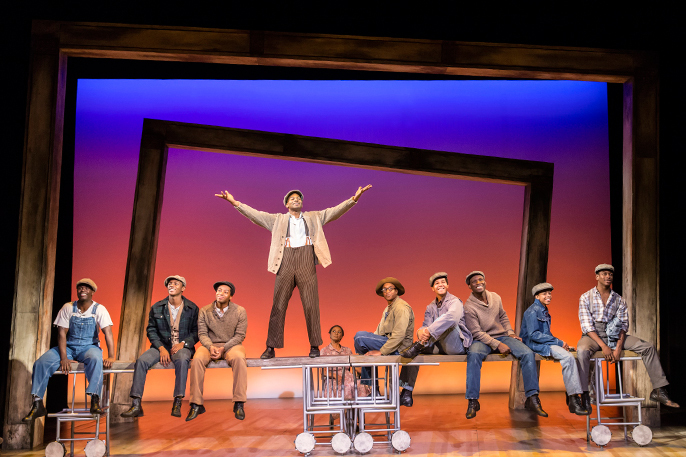 The genius of The Scottsboro Boys is that it tells this honest, real story and manages to tell it in both an entertaining and resonant manner. 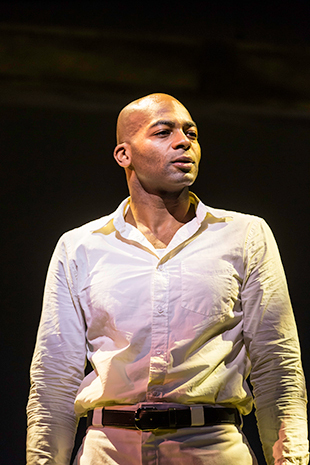 Fresh from the bustling world of Broadway, actor Brandon Victor Dixon has come to tread the boards of London’s west end. 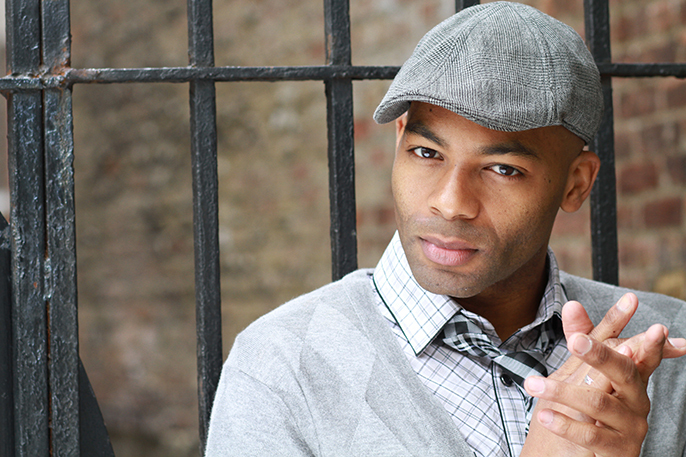 Having received great acclaim for his roles in hit productions such as Motown and The Lion King, Dixon is currently starring in The Scottsboro Boys at the Garrick Theatre. Based upon the infamous Scottsboro Boys Trial of 1931, the production seems a far cry from theatreland’s typical razzle dazzle. When I mention this to Dixon, the Columbia Graduate articulates the importance of sharing this story with audiences in a relatable way. In softly resonant tones and with wonderful phraseology, the actor and producer discusses his role as Haywood Patterson and the power of theatre to express the inexpressible. This production is based upon the Scottsboro Boys trial. Can you elaborate upon the narrative? It’s a story about nine black boys who are falsely accused of a crime in 1931. It’s the story of the injustice of their treatment both through the legal system and through the south that led to huge actions in the civil rights movements - both throughout the US and subsequently throughout the world. Do you think this case was a turning point for the civil rights movement within the US justice system? Very much so… In the States as much as they don’t talk about this case in schools, in law schools they talk about it a great deal. It spawned a number of legal precedents that carried forward in the legal system in the US. Also when the story broke it rallied the abolitionists and the communists up north to fight for the boys and fight for the abolition of Jim Crow throughout the country. How would you describe your character Haywood Patterson? In many respects Haywood is the heart of the piece. He’s 18 when the trial starts and he’s the one boy who never made it out of prison. He’s the lens through which we see the transformation of the boys from beginning to end in the piece. This is a hugely profound and sensitive historical episode. How does that translate into a musical production with a black and white minstrel theme? The genius of the show is that it tells this honest, real story and manages to tell it in both an entertaining and resonant manner. I spoke to a student group the other day and they said ‘Obviously musicals are light and fair; just fun’. And I said to them ‘That may be what people have come to expect from musicals but that’s not what a musical is.’ Musical is just a style of theatre and theatre is not meant to be anything in particular, but it’s not meant to be a purely frivolous engagement. Whether you find it entertaining or not, the true heart of whatever a theatrical piece should be is to touch the audience member and transform them in one-way or another. Our piece is an extraordinary piece of theatre, both because we tell a true and important story but also because the manner in which we are able to do it uses the true magic of theatrical ingenuity. That allows the audience to receive something that is very powerful. What do you think the musical numbers and choreography brings to the piece? It allows people to not just observe the narrative but also immerse themselves in it. Having a piece that operates on all levels. Humour, music, dance can all draw you into a greater place of openness and vulnerability and therefore you’re able to receive the other elements of the show as well. Is the musical score particular to the 1930s era? Yes; it’s all vaudeville. The show’s composer John Kander’s musical knowledge is vast and specific so it’s all period based music. They create wonderful musical themes. The music is special in the show. As you’re portraying a real life person and real life events was there a great deal of information to absorb? Yes, thankfully there was. I read about the case in general just to get a feel for what was going on at the time and how the elements played both out in the north and the south. Then I delved specifically into my character Haywood Patterson and the treatment and emotional progression of the boys. Fortunately Haywood wrote an autobiography called Scottsboro Boy; an important autobiography because it was the first true detailed accounting of what prison life was like, in particular prison life in the south. The nature of the treatment of prisoners in the states really spurned a lot of actions and reform. Which part of America are you originally from? I grew up in Gaithersburg, Maryland, just outside of Washington D.C. But I’ve lived in New York for the last 14 or 15 years. You’ve mentioned the specifically southern injustices that this production touches upon. In your experience, is there still an obvious racial divide within America’s southern states? There is certainly a divide in the states and it’s not just in the south. It’s just something that is a part of our historical cultural fabric. Obviously there is progress made over time; as younger generations are more regularly integrated, not just racially but sexually. As time goes on we become closer as a people globally. Things have certainly shifted a great deal in the States, but it’s something that still requires work and is not something that the US has an exclusive right to. Discrimination morphs; when we talk about racial tensions really what we’re a talking about is discrimination. Concepts based on superficiality and lack of understanding and that’s a vital issue that exists throughout the world. I guarantee The Scottsboro Boys will be one of the most extraordinary theatrical experiences of your life. Do you think that theatre has a role in changing people’s viewpoints? But of course. Theatre is simply a form of communication and education. We share our stories so we can learn from each other; it’s been that way since its creation. So we can learn from each other and not forget the events in the story that have transpired. Also it’s easier sometimes to tell somebody a story than just to simply lecture them. Having spent several years on Broadway, how does the London theatre scene compare to that of New York? I’ve only been here four weeks, so it would be wrong of me to try and make any broad conclusions about the London theatre scene at this point. Thus far in all honesty it seems very similar to the New York theatre scene. It’s a small community, but you have people fighting to create interesting and innovative work that is not necessarily commercial and then you have your Mamma Mia, Thriller crowd. So you keep rolling along (Laughs.) But I think there is room for all these things. I know some of the changes that are happening here with respects to the tax credits and making theatre more affordable, I think making sure we maintain a space for interesting developmental work is a great thing. Unfortunately the cost of theatre continues to rise and that limits the opportunities for new creators and new performers and it is something that really needs to be addressed. The rising cost also places limitations upon theatregoers, especially when it comes to younger audiences. Exactly, and then producers think ‘Ok, well what’s the demographic that will allow us to keep our shows open?’ Then they have to cater to a non-developing demographic but also they look for products that people know and are familiar with. So they try to resuscitate old brands as opposed to taking the risk to find new ones and find models that will accommodate a younger generation. I was having a conversation about theatre in Korea and the main ticket buyers out there are young students and young people. They’re obsessed about shows and the actors come out afterwards and interact with them. Their theatre scene has a vibrant young crowd. I find it useful to look at theatre around the world as it can help you inform ways you can innovate on your own system. Within your career, is acting your sole endeavour? I would say the arts is my career. I’m an actor, a singer and I write music. I’m also a producer. My partner Warren Adams and I started our company WalkRunFly Productions last year and have co-produced two pieces on Broadway this past season. We did Hedwig and the Angry Itch starring Neil Patrick Harris, and Of Mice and Men starring James Franco and Chris O’Dowd. We have a few other projects in development right now. Obviously if you grow up wanting to be an actor or a singer, a lot of the things that attract you to that initially are celebrity; fame, that kind of thing. As you move forward in life you come to recognise the superficiality of those things. For me performance has always been in my heart; it’s what I’ve wanted to do since I was young. But I want to create work that makes people fight to reach a height that’s beyond them; to inspire people to something greater than themselves. My partner is a choreographer as well; he choreographed Motown along with Patricia Wilcox and we want to create different work that empowers each other but also empowers our peers. So we are also able to partner with non-profit organisations so our work connects directly with our communities. Our philosophy is if they’re walking, we give them a platform so they can run and then we can help them fly. Why should people come and see The Scottsboro Boys? Because I guarantee it will be one of the most extraordinary theatrical experiences of their life.